Dieter's teas, which often contain senna, are marketed toward those looking to lose weight. 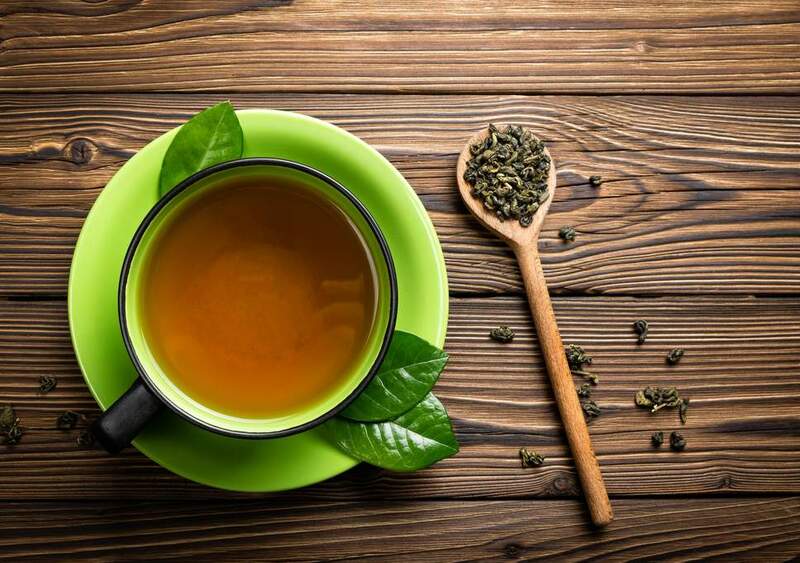 These teas aren't the best or safest way to reach your weight-loss goals, however, because there are potential risks to using them that may not be clear from reading the package. Senna is a product approved for use by the U.S. Food and Drug Administration as a laxative. As such, any weight loss you achieve because of senna tea is likely due to water weight rather than fat. This means that as soon as you rehydrate yourself after the senna tea has worked its way through your system, the weight will come right back. It isn't a healthy or effective weight-loss product. In order to lose something more than just water weight, you'll need to create a calorie deficit by eating less or exercising more. Each pound equals about 3,500 calories, so to lose about a pound per week you'll need to eat 500 fewer calories per day. Creating a larger calorie deficit will speed up weight loss, but men shouldn't go below 1,800 calories per day and women need at least 1,200 calories daily to minimize the risk of adversely affecting their metabolism and making weight loss more difficult. One way to make it easier to cut calories is to lower the overall energy density of your diet. Energy density is the number of calories per gram of food. A review article published in the Journal of the Academy of Nutrition and Dietetics in May 2012 found that eating diets lower in energy density may help people eat fewer calories and lose weight. This is because you can eat a lot more of a food low in energy density, such as a fruit or vegetable, than you can of a food higher in energy density, such as a dessert or fatty cut of meat, for the same amount of calories. Other low-energy-density foods include salads and broth-based soups. Be sure to eat plenty of lean protein and fiber, both of which help you feel full for longer. Aim for about 20 percent of your calories to come from protein and to have at least 25 grams of fiber each day. Trying to lose weight without exercising limits the effectiveness of your efforts. Just as you don't want your weight loss to come from water weight, you also don't want to lose muscle. Without exercise, however, about 25 percent of whatever weight you lose will consist of muscle instead of fat. Exercising, including a mix of both strength training and cardio, helps limit this effect so you maintain more of your lean body mass. It also helps you create a larger calorie deficit so you lose weight a little bit faster. For example, a person who weighs 160 pounds can burn 219 calories by bowling for an hour, 314 calories by walking at 3.5 miles per hour and 424 calories by swimming laps for an hour. The minimum recommended exercise is 150 minutes per week, but doubling that will be more likely to help with weight loss. Do strength-training exercises at least twice a week. Using senna tea to help with weight loss may cause constipation, make you dependent on laxatives or dehydrate you. Using too much senna in one day could cause symptoms of a laxative overdose, including diarrhea, bloody stools and pain in the abdomen, or even cause you to collapse. Check with your doctor before using senna for any purpose, as it may interact with some medications, including blood thinners, birth control pills, estrogen pills and diuretics. Pregnant women shouldn't use senna, and it shouldn't be used for long periods of time by anyone. Limit the use of senna to no more than two weeks. If you enjoy drinking tea and are looking for one that may help slightly increase your weight-loss results, consider drinking green tea. A study published in Physiology & Behavior in 2008 found that people who drank green tea lost more weight over the course of the 12-week study than those who followed the same diet but didn't drink green tea. Green tea may help speed up metabolism and increase fat burning because of the combination of beneficial plant chemicals called catechins and caffeine it contains.